When you think of your friendly neighborhood park, you might picture a swing set or a baseball diamond, picnic tables and the occasional walking trail. But when it comes to Frank Brown Park in Panama City Beach, think beyond the playground. 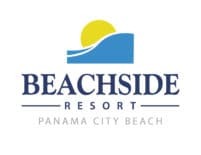 Located mere minutes from the Beachside Resort, this 200-acre sports and recreation complex is open year round – for all the outdoor fun you can fit into your vacation. In addition to the aforementioned playground and picnic areas, there are fields for baseball, football and soccer, tennis and basketball courts, and even shuffleboard. There’s an indoor gymnasium open to the public, a dog park, freshwater fishing lake and paved trails for walking and running. Frank Brown Park is also home to area festivals and events, including fun runs, concerts and more. So if you’re looking for something to do during your visit to Panama City Beach, it’s a good idea to consult the park’s event calendar. Named in honor of Panama City Beach councilwoman Gayle F. Oberst, Gayle’s Trails span a total of 1.66 miles, connecting you from the North to the South portions of the complex and looping around the scenic youth fishing pond, a peaceful spot to teach your children to fish. There’s always a lot of activity at Frank Brown Park – so if you’re looking for ways to be active off the sand, head to the park and get moving. 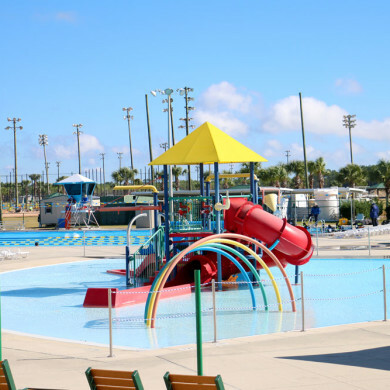 Frank Brown Park is located at 16200 Panama City Beach Parkway. Indoor and outdoor spaces can be rented for birthday parties, weddings, family reunions and more. Call (850) 233-5045 or visit the Frank Brown Park website for more information.